However, getting the right information from your customers in a timely manner and knowing how to benefit from that information is difficult. Thankfully, Sage Advantage makes it a snap! We provide call center customer satisfaction surveys using a variety of methodologies to gain valuable customer insight. 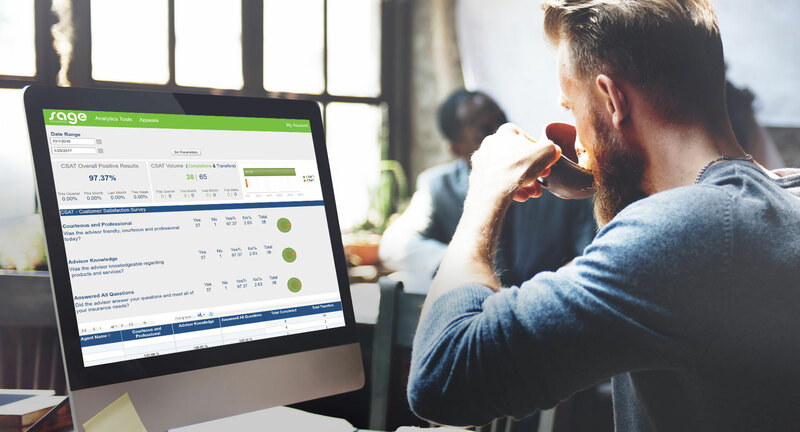 Plus, when you combine our satisfaction surveys with our quality monitoring, it provides a 360-degree view of your call center’s service quality. Tying quality directly to the voice of the customer. After interacting with customers, they have an option to be transferred to an automatic survey utilizing IVR. First, immediately after the customer finishes the call with your center, customers are transferred to the IVR-based survey. Next, customers participate in the survey, capturing valuable insight. We have the capability to capture verbatim comments to truly capture the voice of the customer. 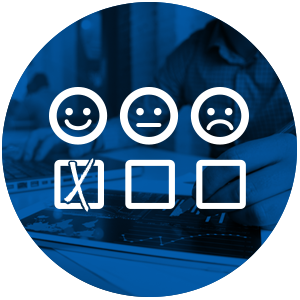 Another popular survey platform is our Automated (Web-Based) Customer Satisfaction Survey. In this survey option, the customer receives an email invitation that links to a survey form. Not only can you access their responses instantly, you get easily-customized reporting through Sage Analytics. • First, immediately after the customer finishes the call with your center, agents transfer the customer to a Sage Advantage LIVE agent. • Next, customers to participate in the survey LIVE, allowing for verbatim comments to be captured. • Finally, results are available immediately online. Because our surveys are conducted LIVE — when the experience is still top-of-mind — you get more candid feedback, comments as well as a more in-depth understanding of the customer’s perceptions and opinions. In order to get the optimal feedback that best benefits your organization, your survey must be unique to you. Therefore, our survey experts dig deep to learn all about the goals you wish to achieve. Only then do we begin creating a customer satisfaction survey designed to get the absolute most results. Ready to learn how your organization can benefit from our Customer Satisfaction Surveys? Simply fill out our quick contact form and one of our representatives will be in touch.